Venture outside of your neighborhood and beyond the boundaries of Erie. Scope out business opportunities other than the traditional barber shop or beauty salon. That is some of the advice that local people of color share with aspiring entrepreneurs. "I want people to be encouraged to think outside the box, to look at what African-Americans are doing in other cities," said Angela McNair, who started JumpStart Early Learning Center in 2015. New businesses form "always based on the need, but sometimes people don't know the need if they haven't been exposed to it," she said. McNair's advice is similar to that of Kevin Arrington, director of the programs division for the Young Entrepreneur Society (YES) in Erie. At a roundtable discussion led by Gov. Tom Wolf to discuss racial disparities in Erie, Arrington touted the benefits of entrepreneurship and encouraged participants to get involved in the Erie Regional Chamber & Growth Partnership, where he is the only African-American board member. In an interview, he talked about the powerful role that education and mentors played in shaping his life. His mother, Maryanne Mitchell, a single parent, stressed to her four children that education was the way out of poverty. "But I can't afford to give you that education, so you have to get scholarships," she told her kids. 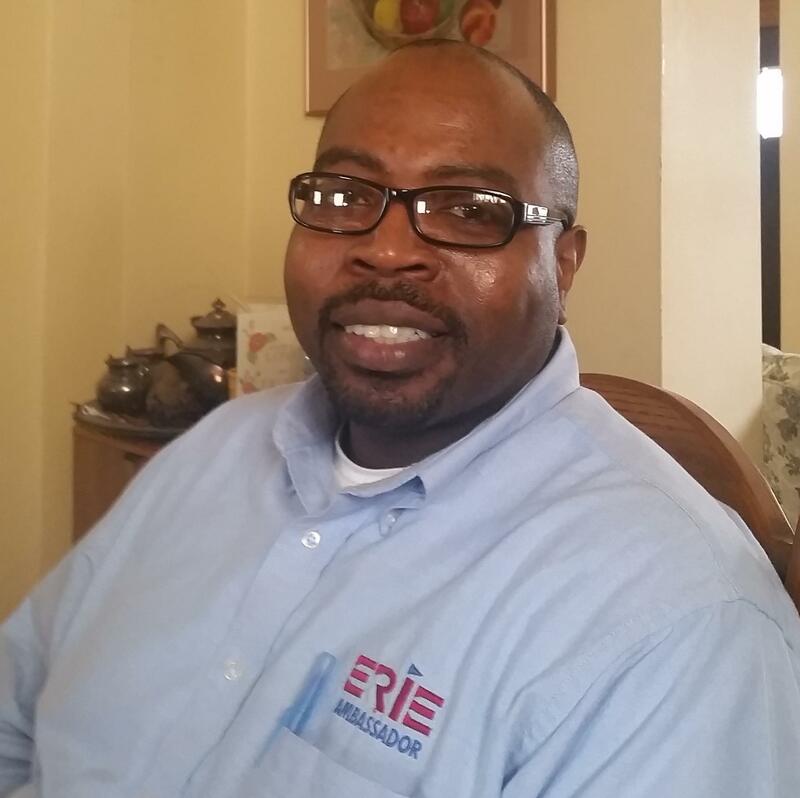 In addition to his mother, he credits retired Erie teachers Johnny Johnson and Barbara Drew, Biddy Brooks from Gannon University's Upward Bound program, and Erie City Councilman Mel Witherspoon with mentoring him. Arrington, 46, embraced his mother's advice about pursuing postsecondary education. After graduating from Tech High School, where he studied data processing, he attended California University of Pennsylvania on scholarships, majoring in computer science and minoring in business management. Going to college outside of Erie and then spending time in Pittsburgh, Philadelphia, Washington, D.C., Baltimore and Harrisburg was good for his personal and professional development, he said. "A high percentage of youth and adults have never left Erie," he said. YES, which was formally incorporated in 2011, works with people of all ages on workforce development, soft skills and mentorship. "It's our job to broaden their horizons of what they can be," Arrington said. YES isn't specifically aimed at people of color. "We focus on everybody," said Arrington. But the YES model of working with nontraditional students means that minorities and women are introduced to the entrepreneurial culture in Erie. That, in turn, is good for business, he said. "The challenge lies for all of us in northwestern Pennsylvania, especially those in positions of power, to diversify," he said. "For our business community to thrive, we have to be inclusive of everyone — workers, managers and customers." With programs currently in Erie and Crawford County, YES is poised to expand geographically. "For more on YES, stay tuned, because growth is on the horizon," Arrington promised.